Insurance Broker or Self Help? 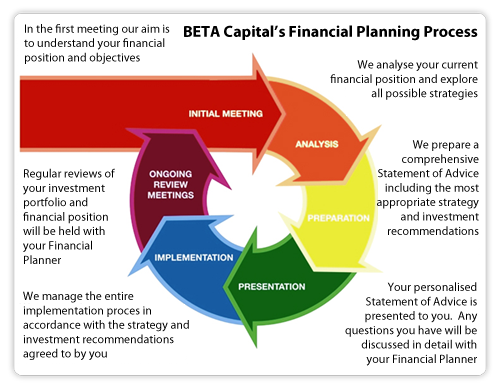 BETA Capital’s Financial Planning service model, is tailored to ensure we help you to create a secure financial future. No matter what your situation is, whether you are in the workforce, about to retire, or already retired, we will always be there to help you. If you are about to retire or already retired, we will help you arrange your finances to ensure you build a retirement income which is reliable and tax effective... and which should last for your lifetime or longer. We'll show you how to pay little or no tax on your lump sum; and if you own a business or farm we will show you how to reduce or even eliminate tax on its sale. 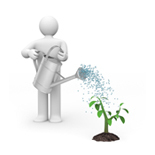 In addition, we can help you arrange your finances so you maximise Centrelink benefits if that is appropriate for you. We will review your superannuation arrangements, to determine whether they can ultimately satisfy your overall retirement goals. We will help you determine whether you are on track to retire with enough money to fund your desired lifestyle - for your entire retirement and whether your superannuation funds are performing to expectations and relative to the amount of investment risk you are currently taking. We will help you ensure that your asset allocation appropriate for you and that you are employing the right fund managers to manage your investments; you are contributing enough funds into the superannuation environment; you are implementing the most appropriate strategies to reduce your tax; you are taking full advantage of the new superannuation and legislative rules and whether you should make further contributions to your personal or spouses superannuation policy. We have extensive experience with all aspects of Self Managed Super Funds and can determine whether they are a suitable option for you. If you have a lump sum to invest or you wish to invest regular savings or superannuation contributions, we will advise you on asset allocation, investment strategies and security selection. We will advise you on direct (shares) and managed investments in Australia, and managed funds overseas, to help you generate competitive returns with less risk... and in so doing help you achieve your financial goals. We will help you develop tailored investment strategies to build wealth prudently and tax effectively to help you become financially independent... and to provide a more financially secure retirement. In addition, we can assist you in creating financial efficiencies with your mortgage, as well as protecting your financial position with the help of personal insurances. In the unfortunate event that you are made redundant, we will help you invest your payout to meet your short term needs, as well as providing for your eventual retirement. We will also develop investment strategies to help you qualify for Centrelink benefits (if this is appropriate for you) and to minimise tax on your payout and your income. Please enquire online or call us directly on (03) 9505 6301. We look forward to discussing any queries that you may have in relation to your Personal Financial Planning affairs.